Police are investigating an incident of arson and criminal damage at a property in Co Antrim. 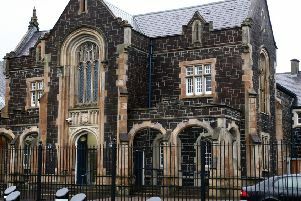 The incident occurred in The Beeches area of Larne on April 23, but the details were only made public by the police today. A police spokesperson said: “As a result, a Ford Fiesta had damage caused to all four tyres and a flammable substance poured on it and set alight. “A Renault Clio also had paint poured on it and paint was also thrown over the owner’s house. Anyone with information is asked to contact 101, quoting reference number 92 23/4/18.